I noticed that New England is not represented in the Legends of the Galaxy Community. Well, that is about to change!!! 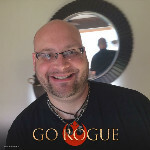 I plan on promoting Fantasy Flight Games in Rhode Island and intend on getting people interested in Legends of the Galaxy. I have been playing this system religiously for 18 months now on most Saturday nights. I look forward to being a Game Master for this system and the Community. While I will be incorporating the Baron and Hutt influence, I will also be taking my 30 years of DMing Dungeons and Dragons and incorporating my own original stories and NPCs into the mix. I feel like the new generation of gamers out there are gravitating towards video games and virtual play and I take it as a personal mission to drag them out of that reality and into this one. With new Star Wars movies coming out fast and furious, I am hoping that this genre will take off!! I look forward to sharing ideas and stories and will be recruiting soon in a galaxy far, far away.